The Former chief minister and Anna – Dravida Munnetra Kazhagham (ADMK) leader turns 66 today (Feb 24th). Earlier her name was spelled with one A (Jayalalitha) at the end. Later a second A was added (Jayalalithaa) due to reasons of numerology. When Jayalalithaa was shooting for a Tamil film in Bangalore (now Bengalooru) a Kannadiga mob surrounded her and threatened to kill her if she did not retract. But the courageous Jayalalithaa refused to be intimidated and stood her ground re-iterating that she was Thamizhian” and not a Kannadiga Jayalalithaa’s father Jayaram was a an irresponsible wastrel who squandered the family fortune. This led to her mother Vedavalli becoming a film actor to support the family. 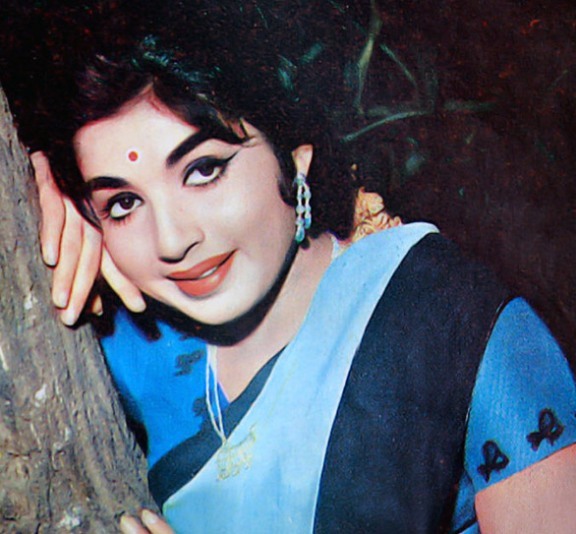 Jayalalithaa’s given name was Komalavalli. but her pet name is Ammu. She studied at the elite Bishop Cotton High school in Bangalore and later at the Church Park convent in Madras. In 1964 She passed out second in the state matriculation exam and was given a merit scholarship.She did not pursue higher studies as her destiny was films. Among her successes were “Adimai Penn”, “Naan”, Maatukkaara Velan” “Aathiparasakthi” “pattikaadaa Pattanamaa”, Kavalkaran” Engiruntho vanthaal” etc. Her last film was “Nathiyai Thedi Vantha kadal” in 1978. Jayalalitha was versatile. She has been a columnist, short story writer, novelist and film producer. Her house named “Veda Nilaayam” after her mother is in Poes Garden. There is an indoor skating rink built there. After MGR’s death in 1987 the ADMK founded by MGR split with his wife Janaki and paramour Jayalalithaa leading the two factions. In 1989 she entered Tamil Nadu legislature as an elected MLA. Jayalalithaa triumphed over Janaki in the 1989 polls and the AIADMK party united under her leadership.It swept the polls in 1991. She was elected chief minister and held office from 1991 – 1996.She remains the imperious yet undisputed leader of the ADMK today. She was re-elected as CM in 2001 but had to relinquish office for a few years due to a legal wrangle. Jayalalithaa handed over reins to a caretaker CM but controlled events.She then won a by – election and became CM till 2006.She was elected chief minister for the third time in 2011 and holds office currently. With elections to the Indian Lok Sabha due this year Jayalalithaa has set her sights on Prime ministerial office. Like Imelda Marcos , Jayalalithaa herself had a fascination for footwear. There were media reports and pix of her 800 plus shoes, sandals and slippers. When a senior minister Munu Aathi dared to sit next at a function she flared up and publicly ordered him to move back. On another occasion a Congress cabinet minister from Tamil Nadu tried to sit next to her on a flight to New Delhi. She shouted at him to get lost and referred derisively to his caste. During election campaigns Jayalalithaa goes around on whirlwind tours in her luxurious trailer – van. Short roadside meetings are held where candidates have to stand on a stool while she talks. Even former central cabinet ministers like Mani Shankar Aiyer had to undergo this. There is no inner party democracy in the ADMK. Jayalalithaa appoints, removes, transfers, promotes, demotes, expels and recruits at her own discretion. Ministers are appointed, fired or shuffled according to her whims. Her wish was the party’s command. None dared to disobey let alone defy. Once the journalist identified himself Jayalalithaa pitched into him. Apparently in an article the scribe had referred to Jayalalithaa as being “hysterical”. She took offence to that and launched a tirade about the meaning of hysterical. Her detractors and political rivals continue to attack her on what they think are her weak spots. She used to called “anthap Pombiley” (that woman) or “Paapaathy” (Brahmin woman) often. This state of affairs may help to understand the reasons for her arrogant conduct but it certainly cannot condone it. 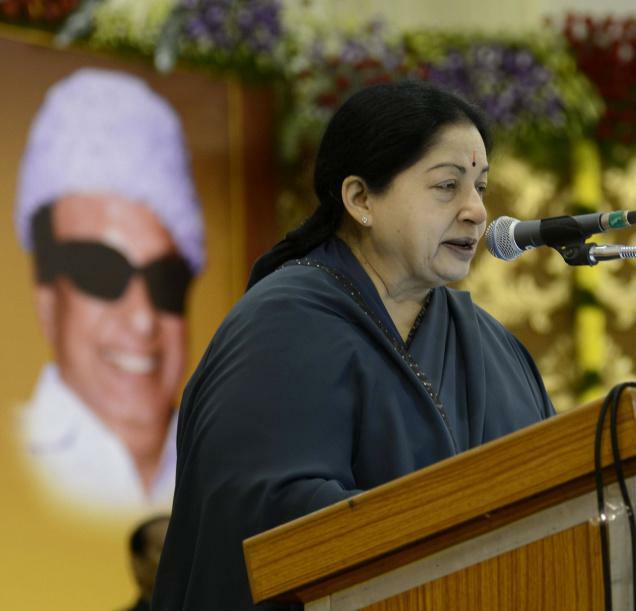 Jayalalithaa’s relationship with Saikala is a controversial issue for Tamil Nadu. They are seemingly inseparable despite occasional periods of estrangement.. Sasikala who is caled “Sinnamma” by party people used to wield enormous influence but is cut down to size in recent times. Corruption cases against both Jayalalithaa and Sashikala are continuing still. Whatever her deficiencies Jayalalithaa remains a towering figure in Tamil Nadu politics.She is nowadays referred to as “Amma” and food outlets providing cheap,healthy food are being opened in the state as “Amma Unavaham”. « Assault of High Commissioner Chris Nonis is only one in a Series of Acts in a Tragedy that Opened in Geneva……..